About 16 kms. 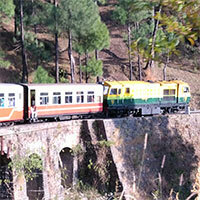 from Shimla is the this hill famous for its trekking and hiking trails. 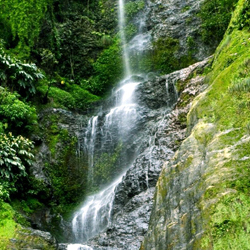 It is also known for nature parks and picnic spots. It also has a Potato Research Station. It is famous for winter sports. This place is also full of lush green hills. 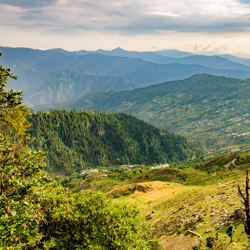 The region around Shimla including Kufri was once a part of the Kingdom of Nepal. 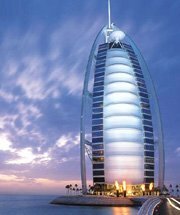 This region remained obscure from the rest of the world until the British discovered it in 1819. 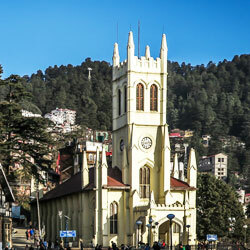 The British made Shimla their summer capital in 1864 and it remained so until 1939. 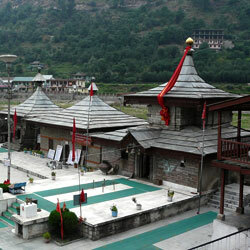 As Shimla gained importance, Kufri also began to be recognized as an important place to visit. An annual winter sports festival is organized every year in the month of February in Kufri, when skiing enthusiasts and adventure seekers participate in this festival. 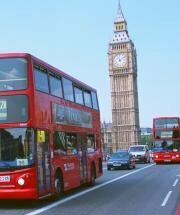 There are plans to suspend tourist operations. If there is snow, the slopes are suitable for beginners and anyone with a decent plastic bag and a thick pair of trousers. Location : Kufri is on the National Highway No. 22. 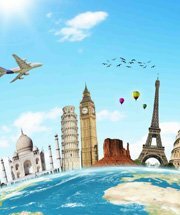 Other places to Visit : Indira Tourist Park, Chini Bunglow, Kufri Fun World. 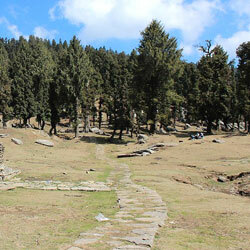 Conclusion : Some great Hiking, some skiing, some beautiful scenes and a cool environment that's what Kufri is all about. Information for tourists : Adventure-seeking travelers throng Kufri in winters to enjoy skiing and tobogganing along its snow-covered slopes. The Skiing season spreads between November to February and the tourist inflow is at its peak during winters. It has a Himalayan Nature park and close by is the Indira Tourist Park with HPTDC's Cafe Lalit. Indira Park provides some great views of the nearby places. Here one can enjoy a Pony or a Yak Ride.